Although the temperatures were sub zero last Sunday, the crowd and competitors were certainly on fire at the Holiday Inn in Fargo for the 5th Annual Bartenders Battle. 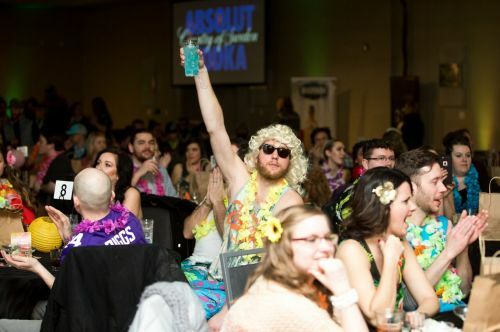 This event has become a highlight of the year for the service industry and this year’s Tiki theme was without a doubt well represented throughout the night. We saw it not only in the attire of the crowd and the juiciness of the drinks, but in the ambiance as well. As guests arrived, they were escorted to their tables by the lovely hula girls of Blue Belles Burlesque while DJ Taylor Bride of Atomic DJ spun a mix that got everyone in a tropical mood in short order. I noted Harry Belafonte, Bob Marley and Jungle Book melodies and riffs being laid over some groovin’ jungle beats that Livewire had sounding great all night. The footage of the live action that Livewire displayed on the side screens kept everyone feeling like they were really a part of the action and the crowd delivered great energy to the contests round after round. This year’s VIP experience once again included a spirits sampling from Republic that featured a variety of whiskeys including the brand new Jameson Caskmates IPA edition, as well as a variety of gin, vodka, and tequila brands that are perfectly suited for craft cocktails. Our VIP guests were also treated to a wide array of sours, stouts, IPAs, red ales, brown ales and more from local breweries Kilstone, Drekker, Fargo Brewing, and Prairie Brothers. With all those great beer options is was very easy to find something to pair with whatever you chose, from a delicious and fresh tiki themed buffet provided by our hosts at the Holiday Inn. After the VIP social hour was over, our MCs Erik Block and last year’s battle winner Elijah Larson gave us a quick rundown of the rules, before we got right into the competition. For each head to head in the first round, we judges drew a spirit category from a fish bowl, and the contestants were given five minutes to create a cocktail live on stage that featured said spirit. A full array of fresh and canned food and juice options were available as ingredients and garnishes and Republic National Distributing Company provided what is without a doubt the single best bar stock in town for that one night. For the second round, new this year, the contestants had to create a beer cocktail that featured a local beer from one of the sponsors. 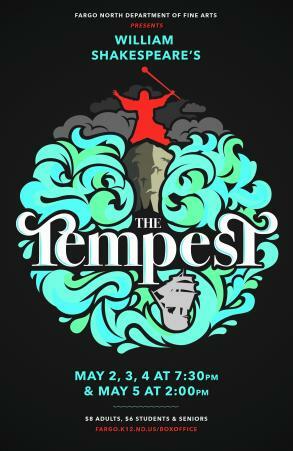 The judges drew the name of the brewery and the contestant could choose from one of two brews provided. For the third round, Republic National provided a mystery ingredient that was brand new in the market and that none of the competitors had heard of before. Before we go over the full results, it is worth noting that the contestants continue to impress us year after year. 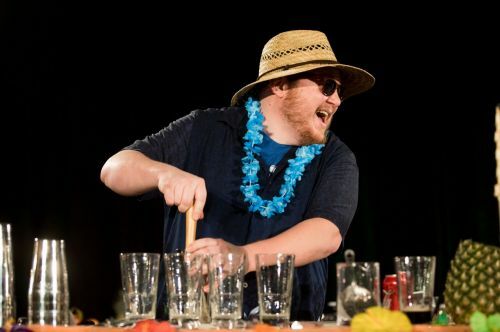 This year’s highlights included delicious and creative drinks that were served in coconuts by Josh and Adam’s use of molecular mixology to infuse an incredible amount of flavor into a hot drink -- that blew our grass skirts up. Chris Staloch dressed as a pineapple and Josh Goedtke went shirtless to show off his Maori tattoos that were obviously sharpied. While there was always a clear winner, despite us having a four person panel, there were several battles that were so close they were won by less than a point. One of the most exciting highlights for me was that this year’s competition featured several newcomers to the battle and was ultimately won by someone with the least amount of actual mixology experience but a notably strong sense of flavors. After witnessing the ways in which this local cocktail culture often collaborates with, learns from, and grows because of these such interactions with each other, I feel the future of our cocktail scene in this town has more potential than ever.